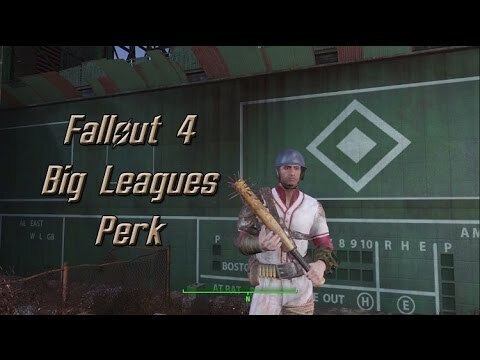 Big Leagues is a Perk in Fallout 4. It is associated with the Strength Stat. 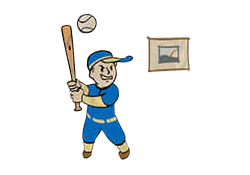 You now do double damage with a melee weapon, and gain a chance to cripple your opponent, or grand slam their head clean off! Rank 1: Swing for the fences! Do 20% more melee damage. Rank 2: You now do 40% more melee weapon damage and gain a chance to disarm your opponent. Rank 3: You now do 60% more melee weapon damage and gain an increased chance to disarm your opponent. Rank 4: You now do 80% more melee weapon damage and hit all targets in front of you.